What a gorgeous group! I am so glad Rowdy and Bette got to have a playdate with their agility friends. What a crew. Boy how great for a puppy to have time with dogs of all ages. So nice to have Rowdy to take up the play play play of a pup. Penny would just about do me in with her energy. Yeah Rowdy, now you know what it is like. Bette doesn't look like she would take any guff from anyone. She's gorgeous. So happy happy for you all. Carson it's so good to see you here. Love the pictures. See, many people kept checking and hoping you would be here. Hard habit to break, huh? Just lookin' at the picture again. Bette is sooooo elegant. Look how she holds her head. Beautiful girl. Hard to believe she's so young. Cinnamon's family of humans from PA here, expressing our extreme gratitude again for your ongoing good work. Bless you. 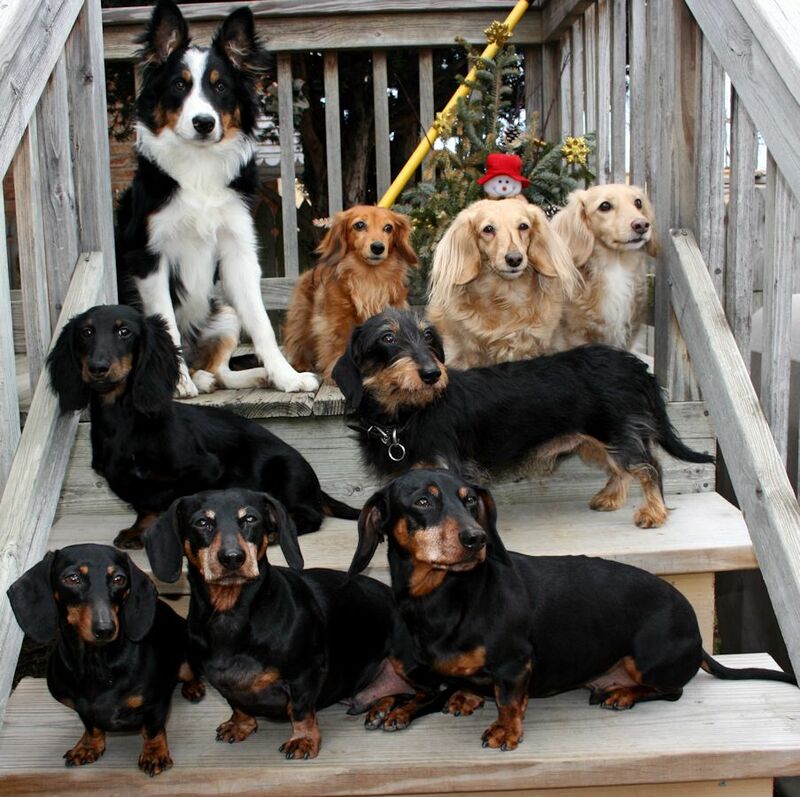 What a fabulous looking group for a playdate of any kind. Bette, looking a little shy as could be expected, and Rowdy alert as always. We were up in NYC for the weekend and are pleased to report Dachshunds of every variety, and age, were well represented throughout lower Manhattan. They all could be overheard commenting about the most recent postings on The Long and Short of it All. Bless Dad Carson and all members of his beautiful family.